August is almost over, and that means that we have to say goodbye to this cute Stamp of the Month “What a Hoot” stamp set! Although I’ll still have it around to craft with, I only like to show the current stamp of the month sets on my blog, so this is the final project that I’ll be sharing today with these owls. This owl is ready to celebrate a birthday or other special occasion! 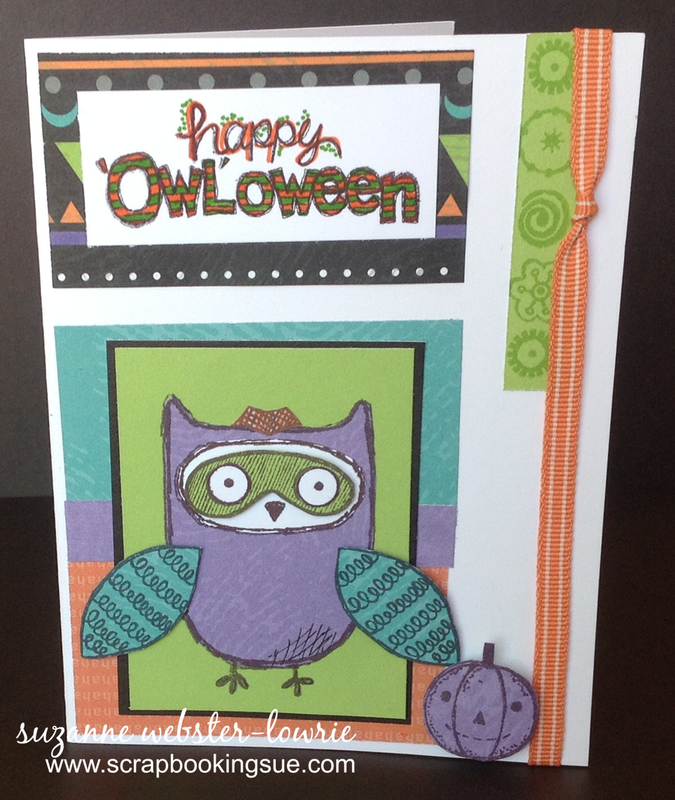 The patterned papers used for the owl and background are from the Confetti Wishes Paper Packet. Also featured, are cardstock colors in Canary and Pacifica, with a White Daisy cardstock base. The background has been dry embossed with the Chevron Embossing Folder for a lot of texture and dimension! 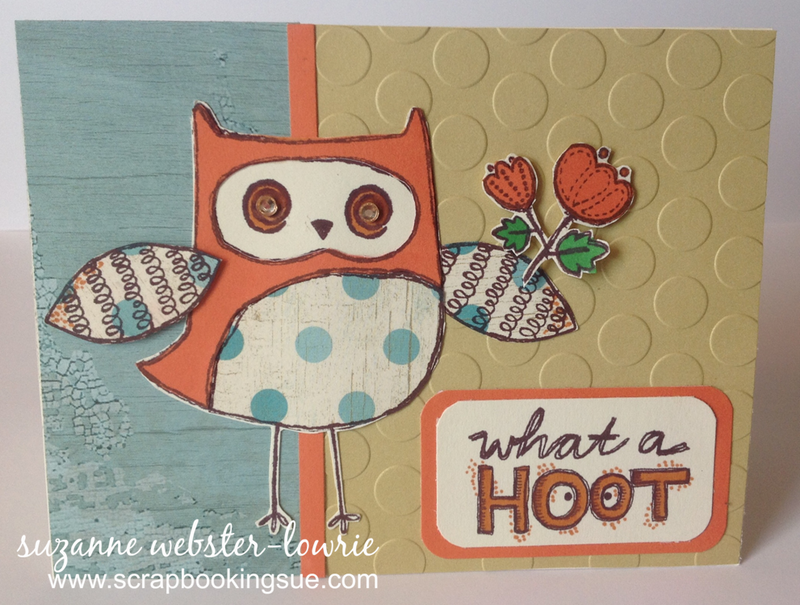 The owl’s wing in the foreground and the “What a Hoot” sentiment have been popped off of the page with foam tape. Finally, gold shimmer trim and gold sequins were added for extra sparkle. Only 3 days left to purchase this set! You can get this 17 stamp set for only $5 with your qualifying $50 purchase! You can find this stamp set here. Today is an exciting day at my blog, as I am participating in our first ever Team Blog Hop! If you have come here from Roz Bianchi’s Blog, then you are on the right track! This hop features Close To My Heart’s line of Embossing Folders. You’ve probably seen me using embossing folders quite a bit in my projects to add some texture, dimension, and visual interest. Since my favorite CTMH Embossing Folder is “Quatrefoil,” I am going to be sharing a card that I made with the Quatrefoil folder. To see cards made with our other folders, make sure to continue “hopping” after this post. 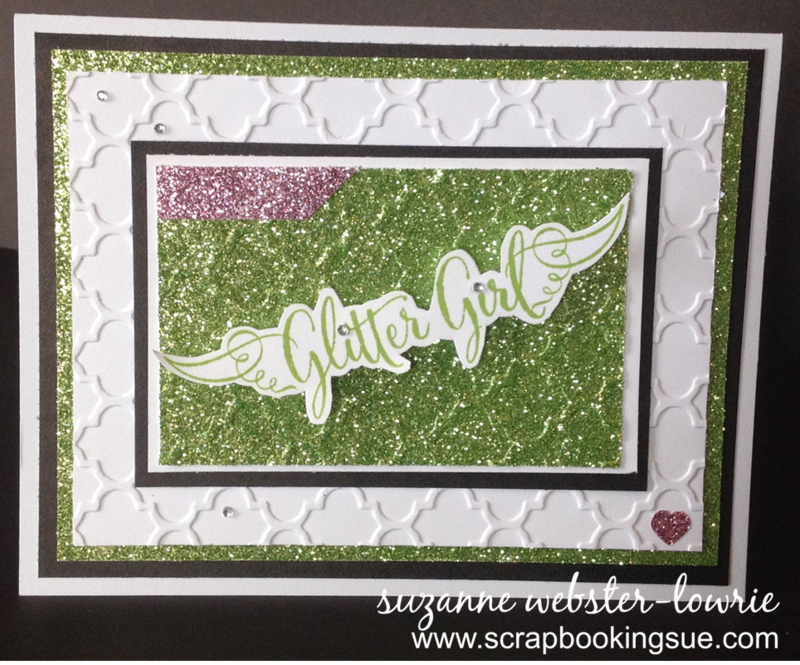 This 4.25″ x 5.5″ card was made with a White Daisy cardstock base, and then layered with Black cardstock and Green Glitter paper. 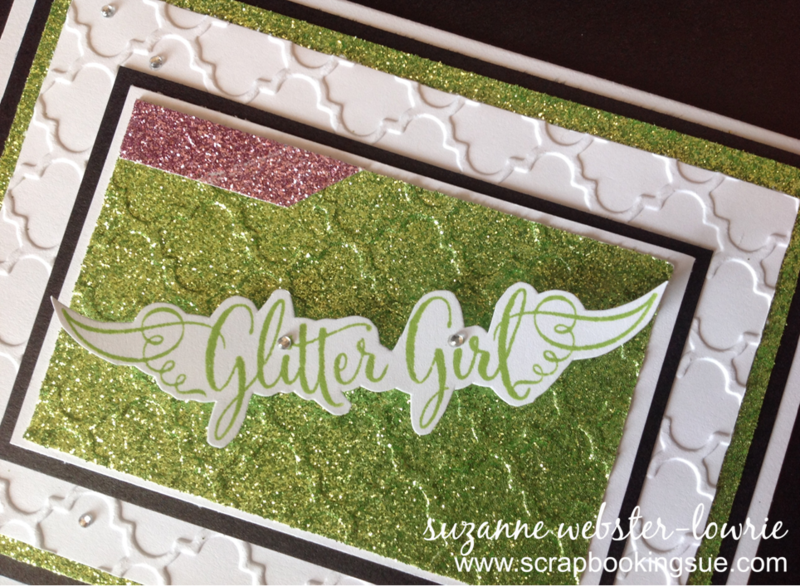 The white paper in the background and green glitter paper in the foreground were both run through my Cuttlebug machine with the CTMH Quatrefoil Embossing Folder. 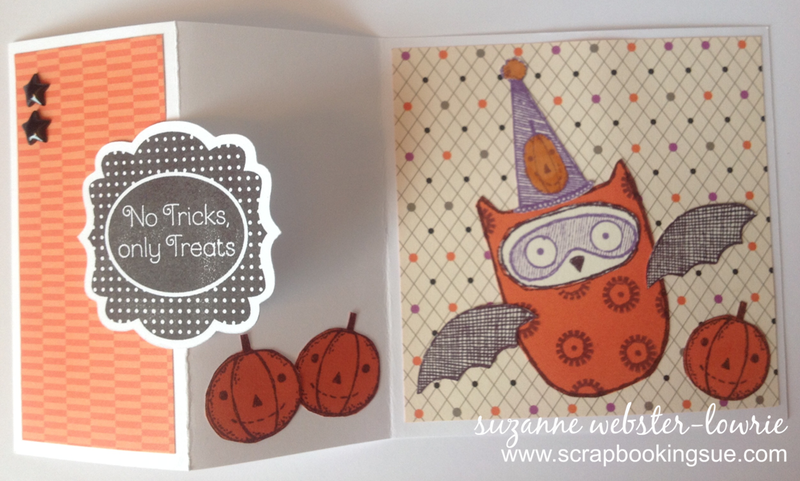 I love the look of having the 2 layers of embossing! Once my papers were embossed, I simply glued all of the layers together, stacking one on top of the next. The pink strip and heart were cut from self-adhesive Pink Shimmer Trim. I cut the pink strip on an angle and adhered to the green glitter paper, and then cut the small heart with a tiny paper punch and adhered to the bottom of the card. 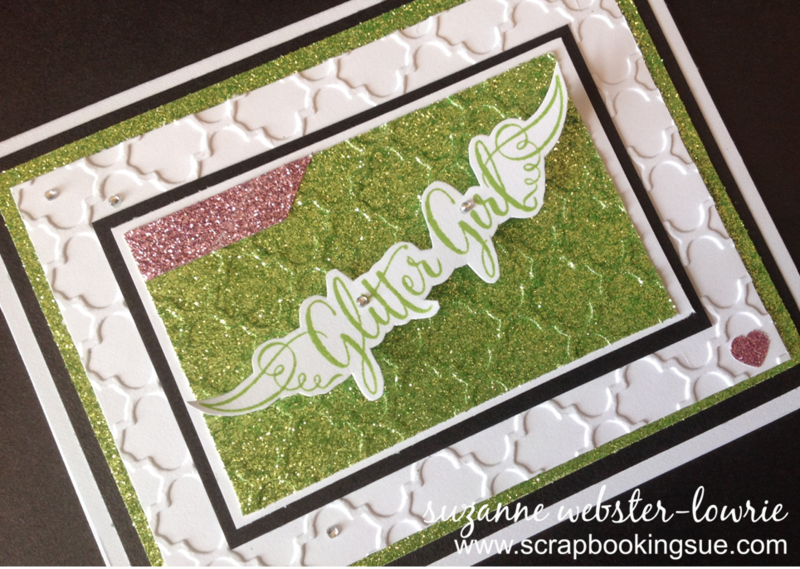 I used the “Glitter Glam” stamp set to stamp the sentiment “Glitter Girl” with Pear ink. I fussy cut around the sentiment, curled up both of the wings a bit for a “flying” effect, and then attached with foam tape to really pop it off the page! While the entire card sparkles with glitter, I still couldn’t resist some extra bling… Bitty Sparkles! I added 3 sparkles to the embossed background and 2 to the sentiment to dot the “i”‘s. 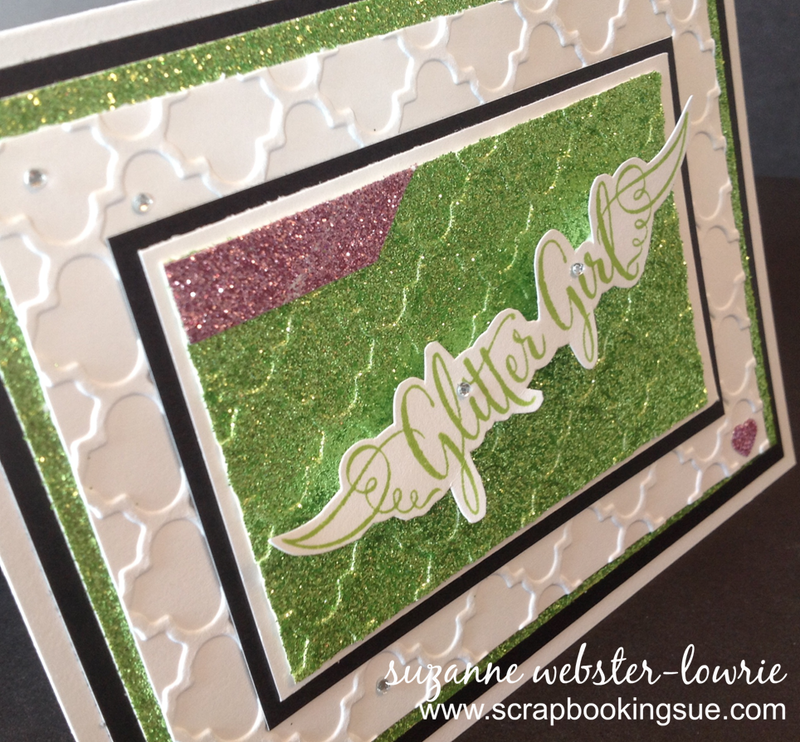 Since I initially made 2 projects for this Blog Hop, I’ll have another Quatrefoil embossed card to show you next week. Be sure to join me for that later in the week, or feel free to drop by every day for my DAILY blog post!